Okay so has anyone else looked at the date on the calendar and wondered how it can be June already?!?!?!? We have been very busy with doctor’s appointments for the new one on the way, interviews for my husband (still nothing yet for an offer), and just trying to live life with two young ones in the house there hasn’t been much time to scrap. Sad I know! 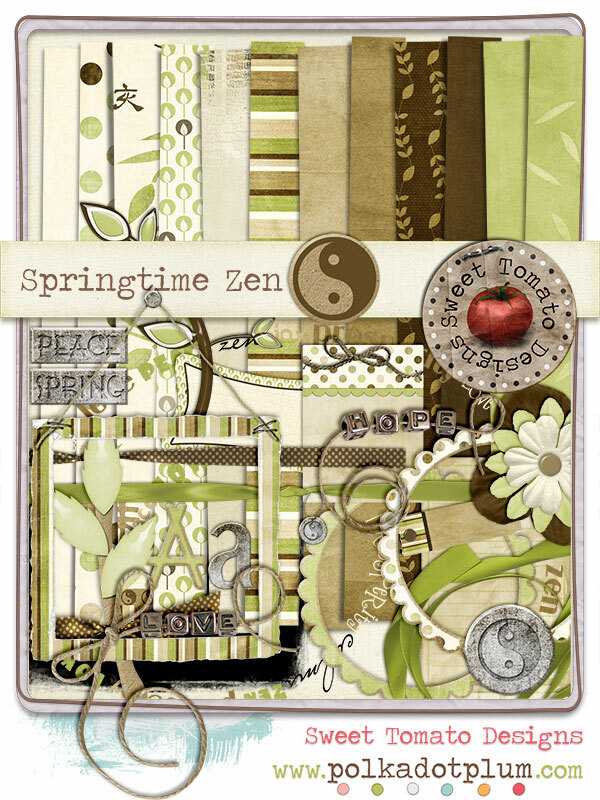 I have something in the works for Father’s Day using the Springtime Zen kit by Sweet Tomato Designs. You can purchase the kit here at Polka Dot Plum. I hope to have my layout up later today, my server is off right now and the kids need some attention. So scrap’ing will have to wait a little bit longer. The girls have already been up since 6am and I’m more than ready for some me time. But I figure you all will understand.